Tony Holm was a standout running back for Wallace Wade's powerful teams in the late 1920s, who would go onto a journeyman career in the pro ranks that included a spot on the first Pittsburgh Steelers roster. 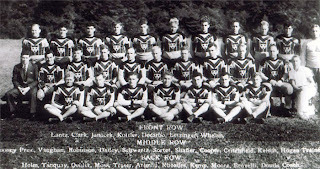 A native of Birmingham, Holm played at Fairfield High School before heading to Tuscaloosa in 1926. At jsut more than six feet and 214 pounds, Holm was considered physically imposing for a back in that era. His size allied with a "high knee action" running style made him difficult to tackle. His running prowess earned him sobriquets such as "The Battering Buckaroo" from sports writers. 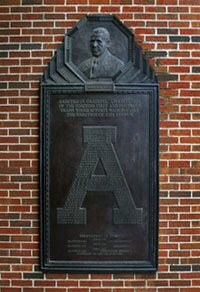 While he was a productive player in the Tide's varsity backfield in 1927 and 1928, it was the 1929 season that made him a star. Alabama began that year's campaign bulldozing its first three opponents but then traveled to Knoxville to face Tennessee. The revived Volunteer squad under Major Robert Neyland had surprised the Crimson Tide in Tuscaloosa the season before earning a 15-13 victory. Alabama was looking for payback and as shot at the conference title. The game proved to be a match of almost complete equals with the two teams battling to a stalemate. The outcome hinged on a punt of Holm's that was blocked and then recovered by Tennessee. The Vols drove to the Tide two-yard-line and then Tennessee's Gene McEver pulled off a play-action fake and ran in for the score. Tennessee won 6-0. With injuries to backfield stars Billy Hicks, "Flash" Suther and "Monk" Campbell, Alabama's hopes of a championship season dimmed. When Holm went down with a broken rib in a 13-0 loss to Vanderbilt all seemed lost. The Crimson Tide's odds against an undefeated Kentucky team in Montgomery's Cramton Bowl seemed remote. Holm entered the game "bandaged from his belt up, taped fro his waste down and reeking of liniments and lotion" but it didn't seem to hinder him at all. He grabbed the opening kickoff and ran it back 86 yards to the Wildcat's 15-yard-line. Over the next 60 minutes he would score three of the Tide's touchdowns while stymieing Kentucky's offense with his kicks and blocking. Alabama won 24-13. The next week Holm repeated his performance in a 14-0 drubbing of Georgia Tech in Atlanta. He scored the Tide's two touchdowns, snagged a key interception and ran for 128 yards while slashing the Golden Tornado with his passing and punting prowess. Despite another stellar performance against Georgia in Birmingham to close the season, the Tide fell to the Bulldogs 12-0. Holm's 1,387 yards on the season -- almost half of the team's total gained on the ground -- earned him All-Conference and All-American honors. 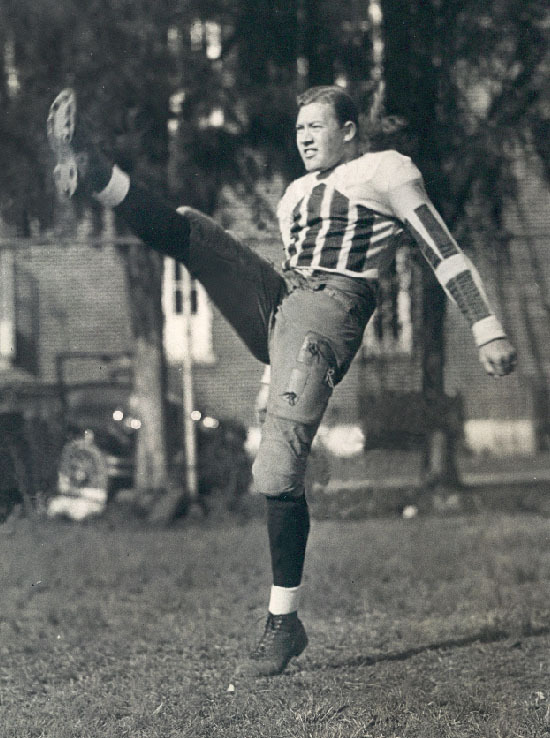 After unsuccessfully trying to enter West Point to play for Army (he was three months too old), Holm started his professional career with the Providence, RI Steamrollers in 1930 but moved on to the Portsmouth VA Spartans the following season. 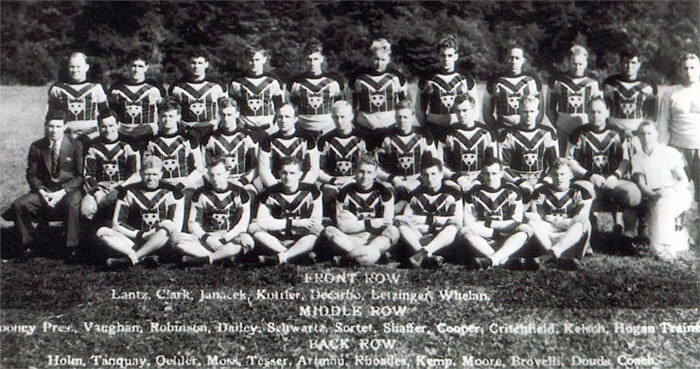 In 1932 he was on the Chicago Cardinals roster but at the start of the 1933 season Holm was part of the very first Pittsburgh Pirates squad -- the franchise that would later become famous as the Steelers. 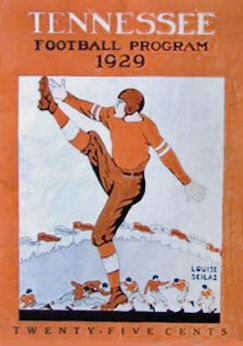 In the Pirates' inaugural game against the New York Giants on Sept. 20, a powerful 65 yard punt by Holm led to his team's only points. When the His kick pinned the Giants on their own one-yard-line and when they were forced to punt, the Pirate's Johnny Oehler blocked it and earned the safety. The visiting Giants would claim a 23-2 victory. Holm played nine games for the Pirates but a leg injury cut his season short. He finished the season with 406 yards passing and 160 yards rushing, his best marks as a pro. He joined the American Professional Football League's Charlotte NC Bantams as a player coach in 1934 but resigned after three games, ending his playing career.